Hardcover, 12 x 15 in. / 208 pgs / 120 color. 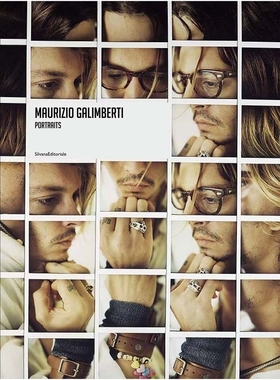 This first collection of mosaic-style portraits by Mauruzio Galimberti (born 1956), spanning the past 30 years, includes a diverse range of sitters, from Johnny Depp and Kate Winslet to Peter Greenaway, Julian Schnabel, Chuck Close, Daniel Spoerri and Mimmo Rotella. FORMAT: Hbk, 12 x 15 in. / 208 pgs / 120 color.